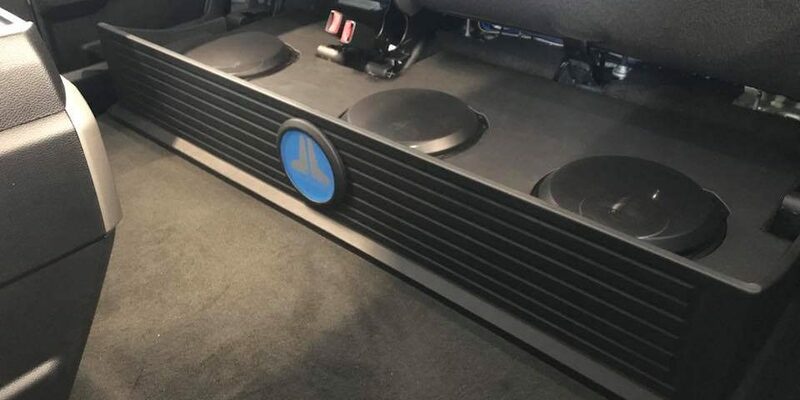 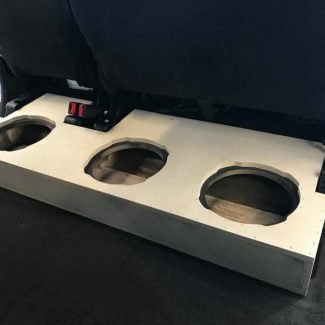 Subwoofer box fabrication and installation under the rear seat of this Ford F-250 looking clean! 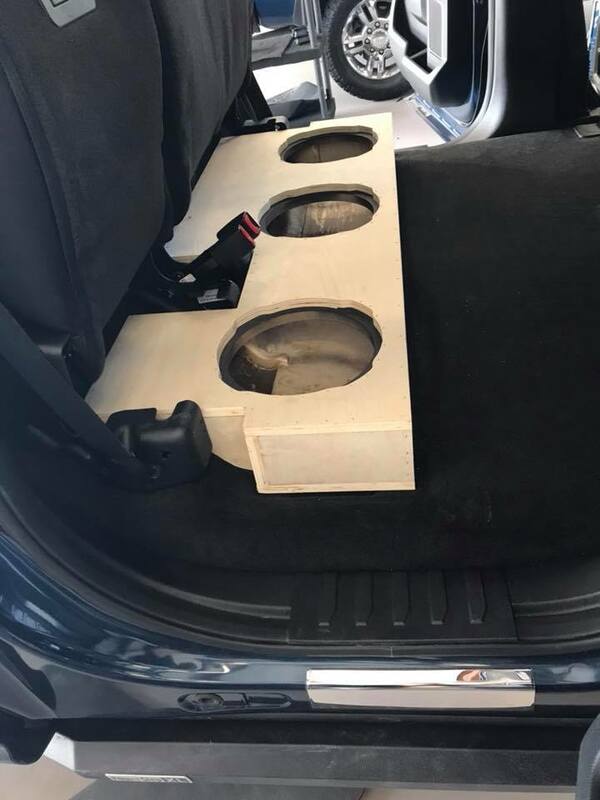 Three 10" JL Audio TW3 subs for hard hitting bass. 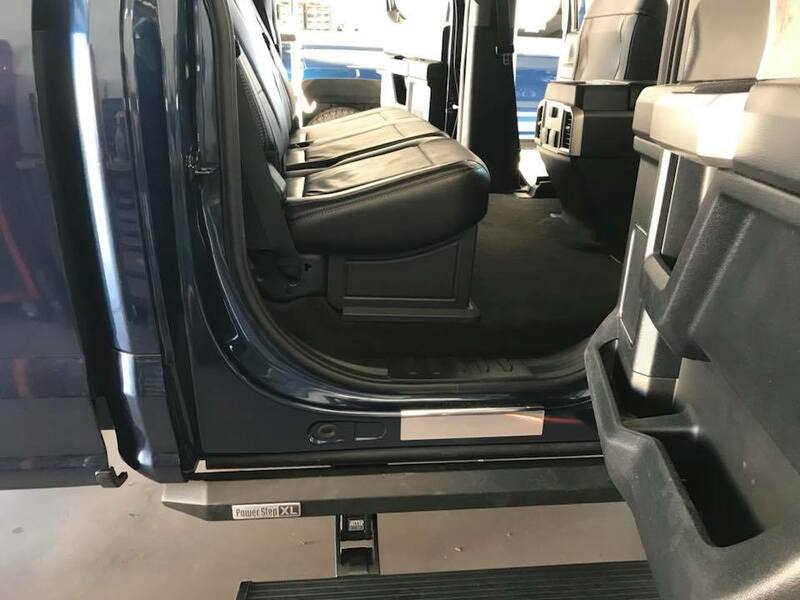 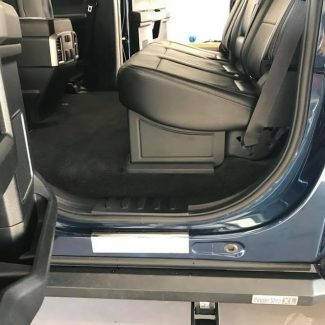 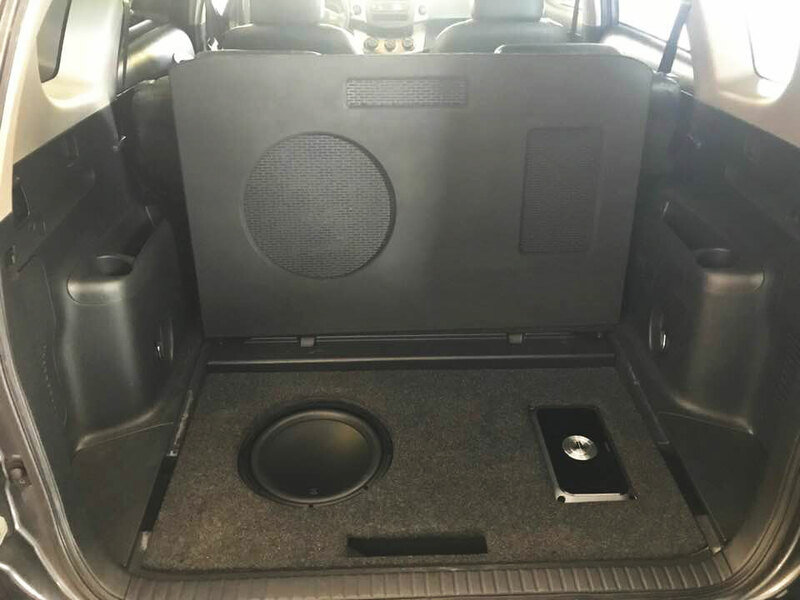 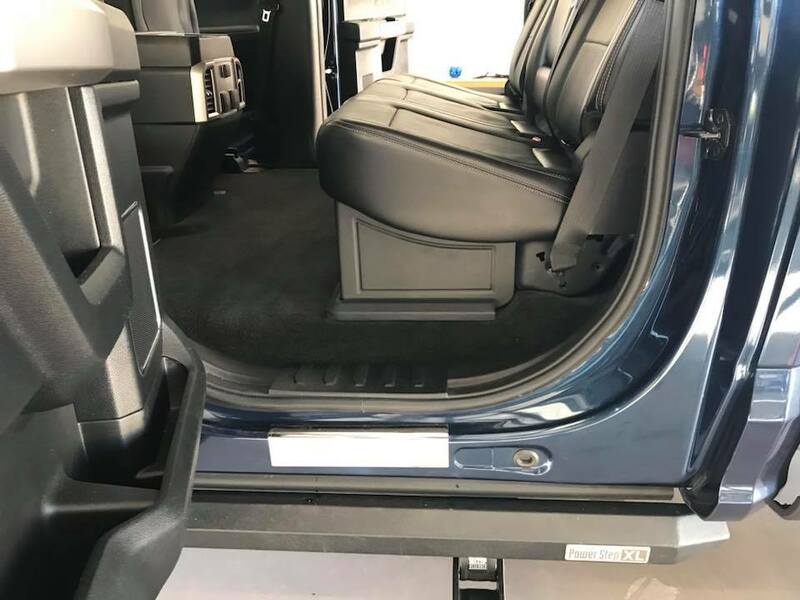 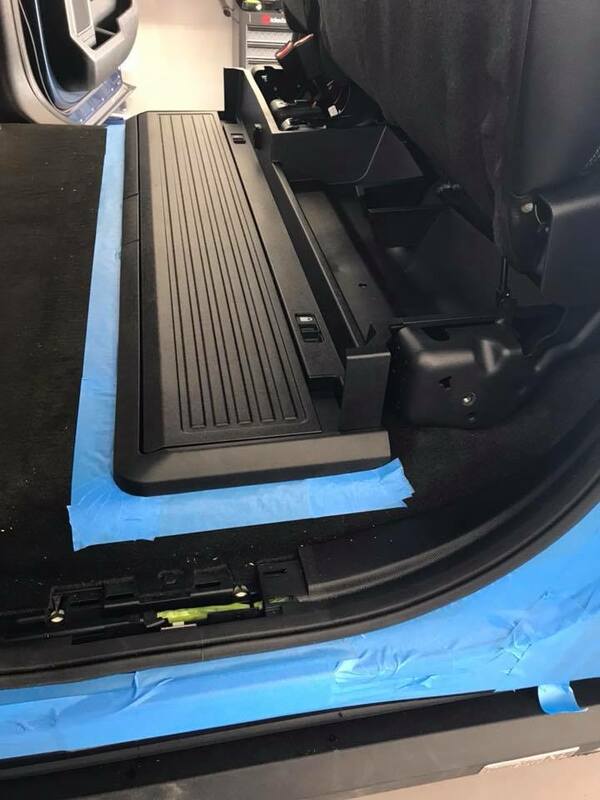 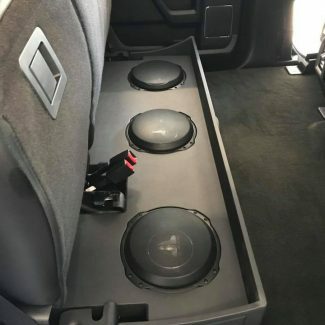 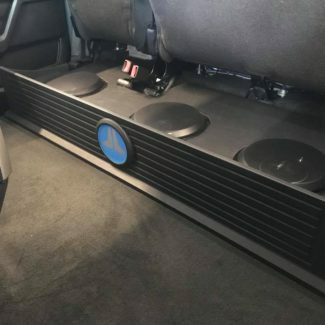 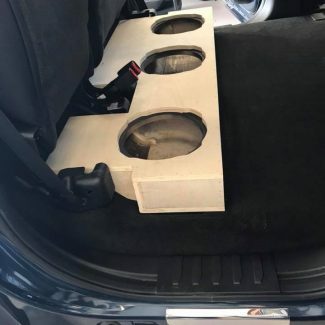 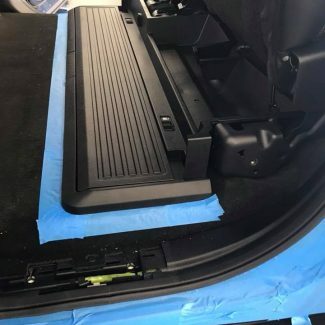 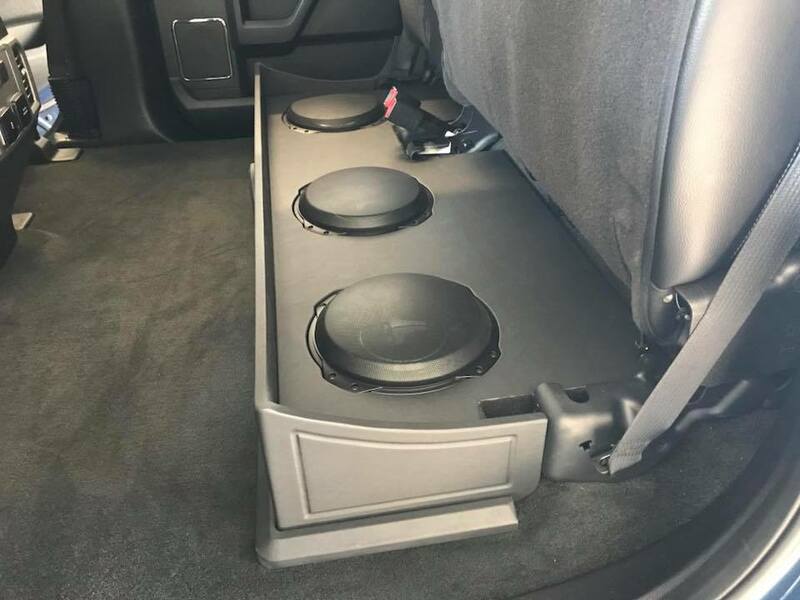 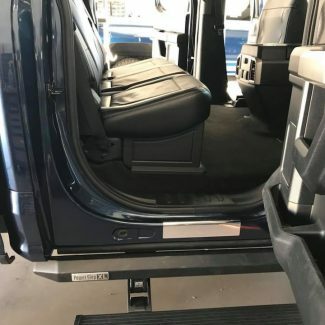 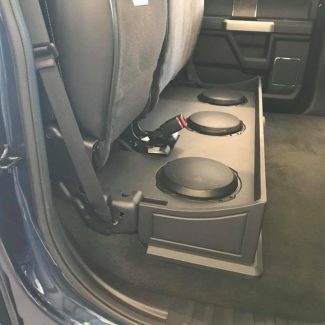 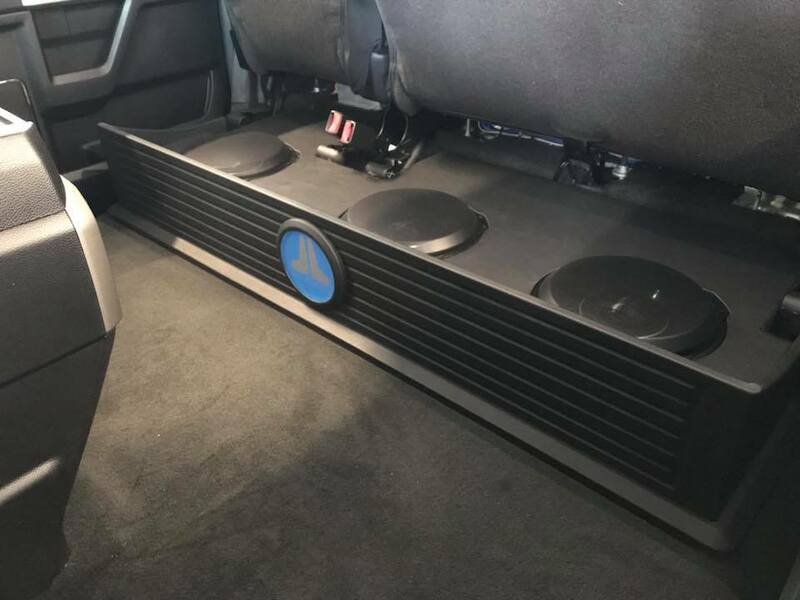 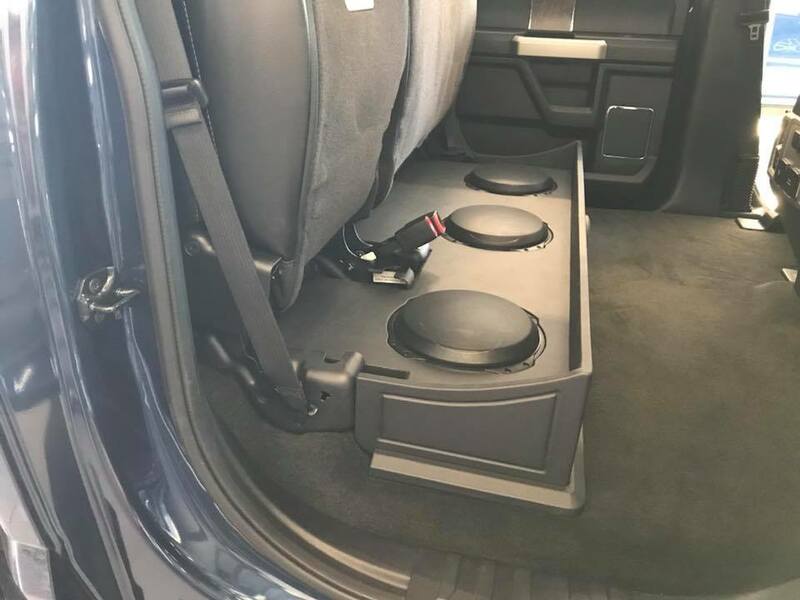 With the limited space under the rear seat of trucks like this F-250, we are able to squeeze every inch of usable space to create a subwoofer box to get the maximum bass without infringing on any comforts of your new truck. 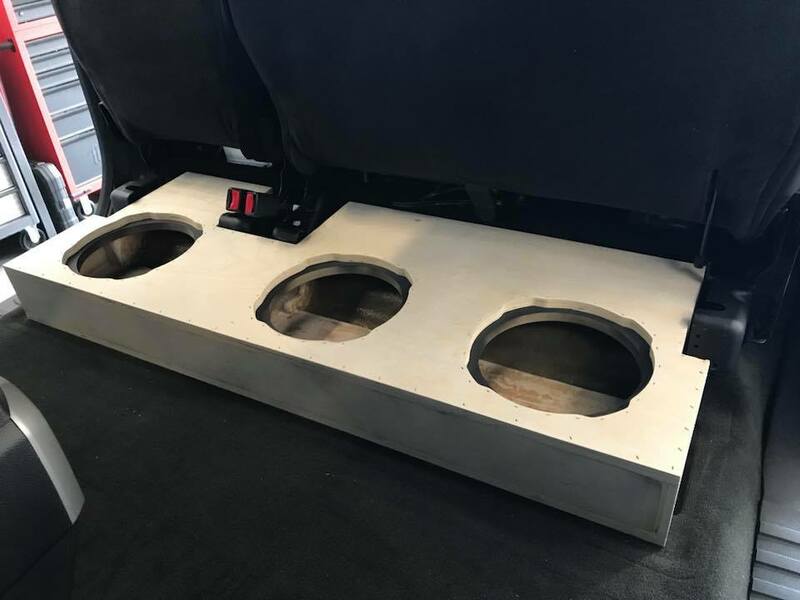 With a combination of MDF wood and fiberglass we make the box hug every corner under the seat. 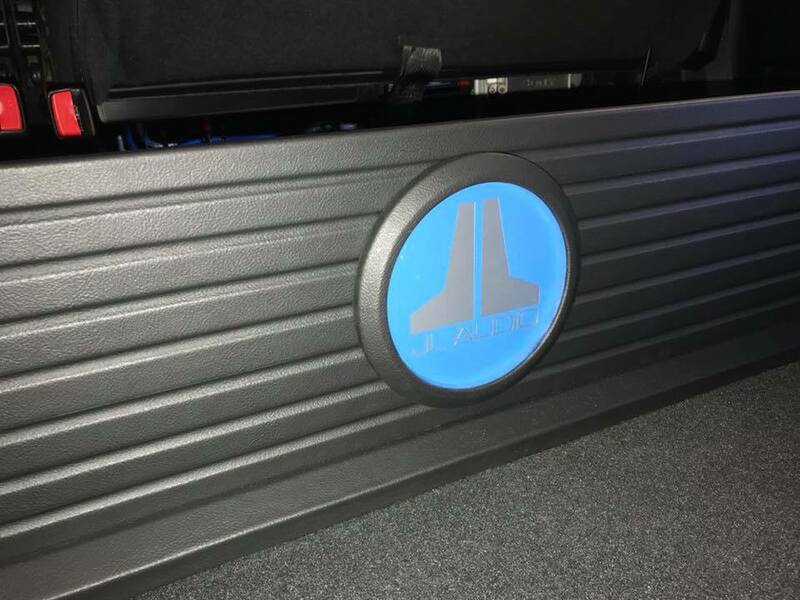 We finish off the box with some details like this custom JL Audio badge to give it just enough flair so you know it is some custom work. 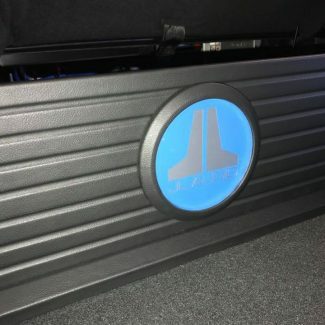 We can make these type of boxes as subtle as you want, so nobody will know it didn't come like that from the factory, or as custom as you want, with details, lights, badging, or whatever you want to show off your style. 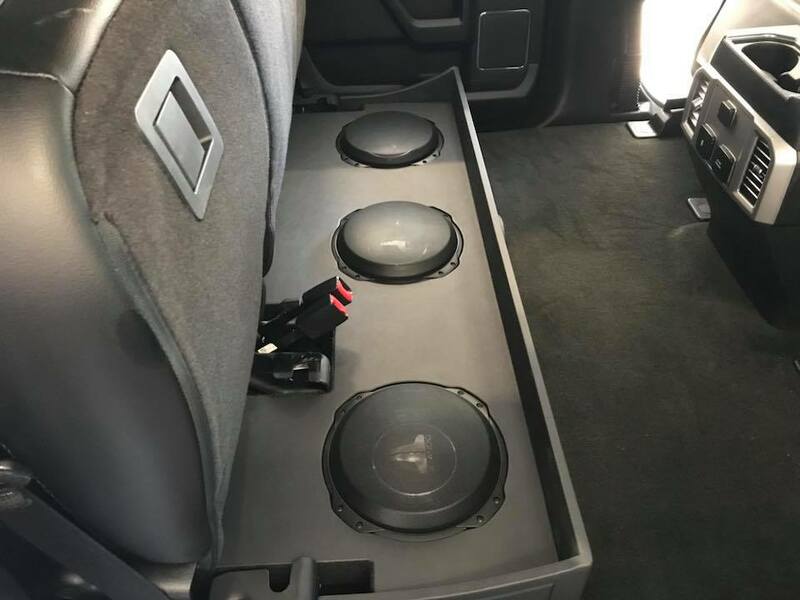 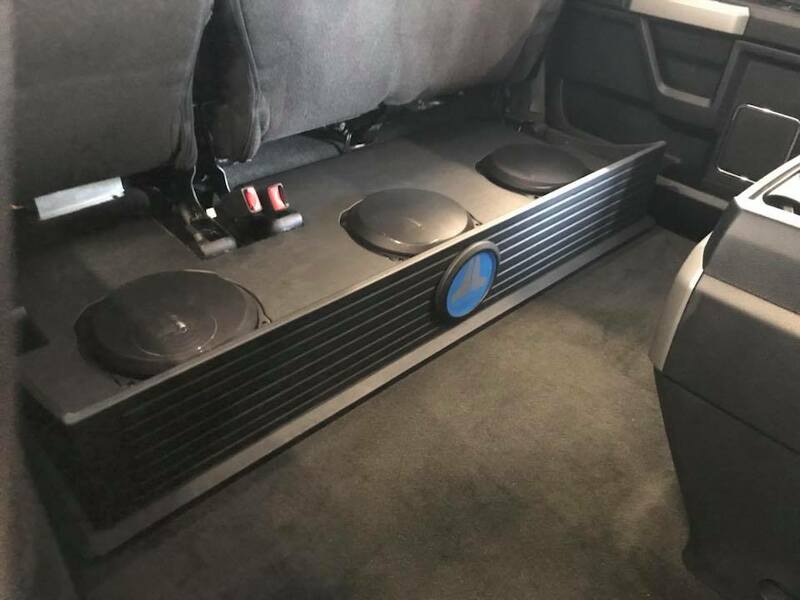 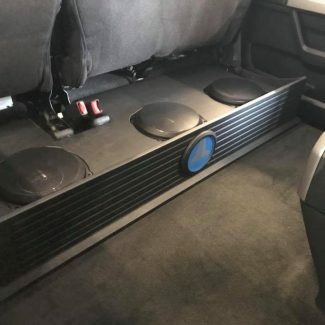 If you have a crew cab, super duty, or any truck with a rear seat, bring it in so we can see what we can come up with to give you a great sounding stereo, without losing any usable space. 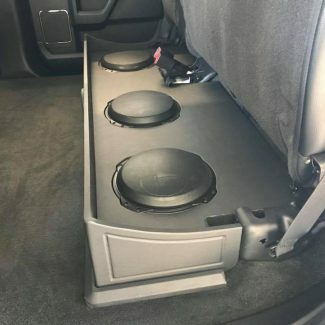 We are Brevard's truck stereo experts.